Free Stuff - Kansas City, Independence, Lee's Summit | Pro Computer Solutions, Inc. Constantly dealing with downtime due to broken computers? 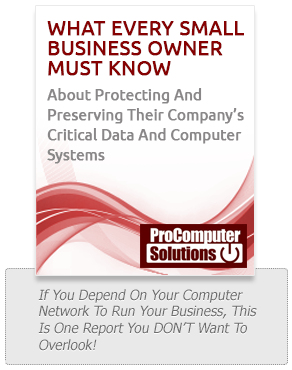 A FREE 27-Point Network Audit from the experts at PCSi can determine the limitations and weaknesses of your current technology systems.